03.04.2008 - Reyes Carrere, Mariana Tirca and Karl Erik Bøhn tell us what they expect this weekend in the CWC. 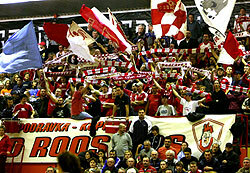 21.03.2008 - Podravka will play against Larvik, which could be the biggest derby of the round. 07.03.2008 - Brasov may be the most dangerous for top teams such as Podravka or Krim.